Joan H. Bush, 85, Corydon, Indiana, died Thursday, May 31, 2018, at her home near Blue River, where she was born on October 29, 1932, to Hobart Hughes and Isabelle Rosenbarger Hughes. 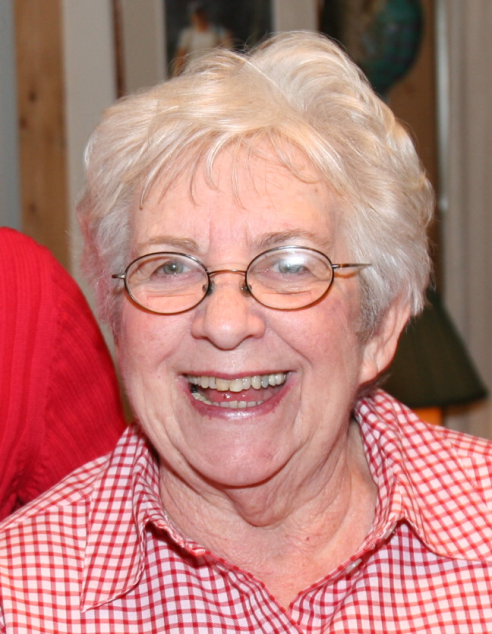 Joan retired from The Corydon Democrat, where she was valued for her knowledge of language and words and her proofreading skills, and was an active member of Fountain United Methodist Church. She was preceded in death by her parents, her husband, Robert H. Bush, and her brother, Philip J Hughes. Survivors include her daughter, Missi Bush-Sawtelle (Bob), granddaughter, Sunnye (Daniel), sisters-in-law, Wanda Hughes and Bea McKim, and two nephews. A memorial service celebrating Joan’s life will be held at 6:00 p.m. on Wednesday, June 6, 2018, at Fountain United Methodist Church, with visitation preceding the service from 4:30 until 6:00 p.m. In lieu of flowers, donations may be made in Joan’s memory to the O’Bannon Woods Nature Center Hellbender Project or the Robert H. Bush Memorial Fund c/o the Harrison County Community Foundation, which benefits the historic integrity of Fountain United Methodist Church, at P.O. Box 57, New Salisbury, Indiana 47161. Beanblossom-Cesar Funeral Home in Corydon is in charge of arrangements.